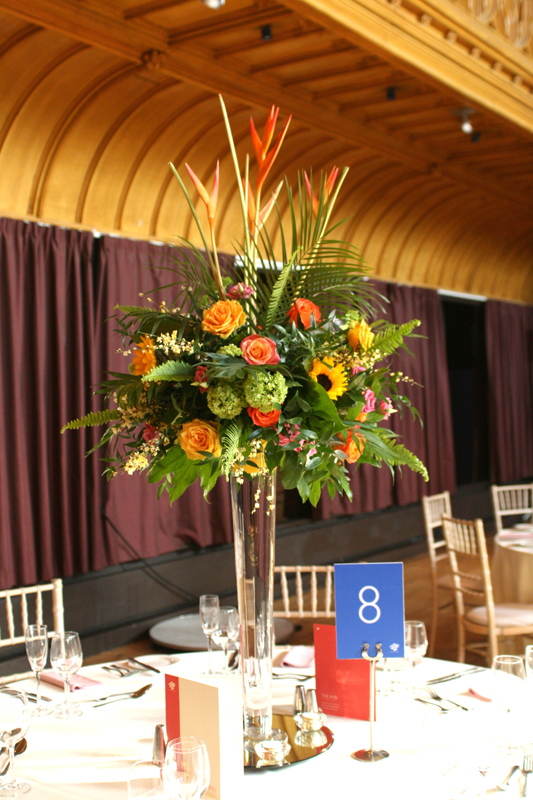 From the first meeting, we loved the style that Arlene wanted to create for her big day. White and sage green with touches of blue was the colour scheme. Arlene had created her favour bags using natural hessian material with sage green ribbon and we wanted to incorporate these elements into the details for her flowers. 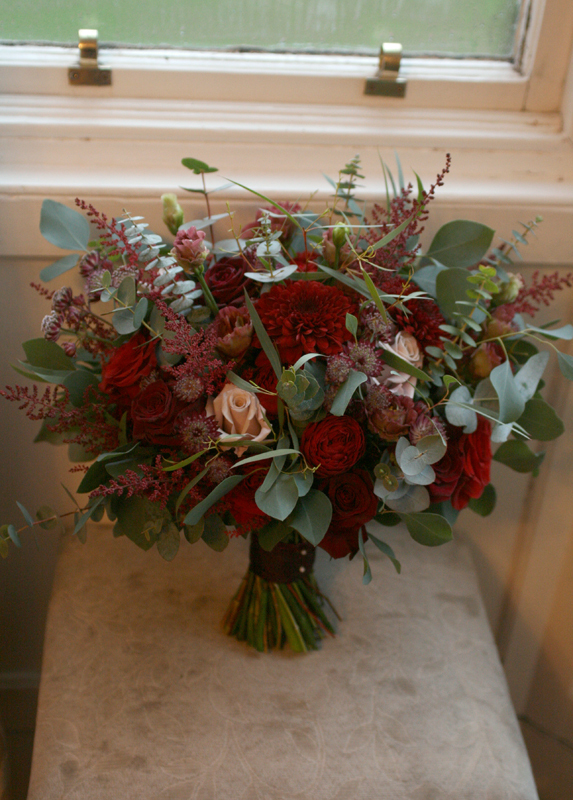 To give the arrangements lots of texture and interest we used roses, spray roses, dahlia, freesia, ornithogalum, asclepias and the lovely nigella for a touch of blue. The foliage we used was salal, thlespi and senecio which complemented the touches of silver in her wedding dress. Congratulations to you both. We hope you had a wonderful day. 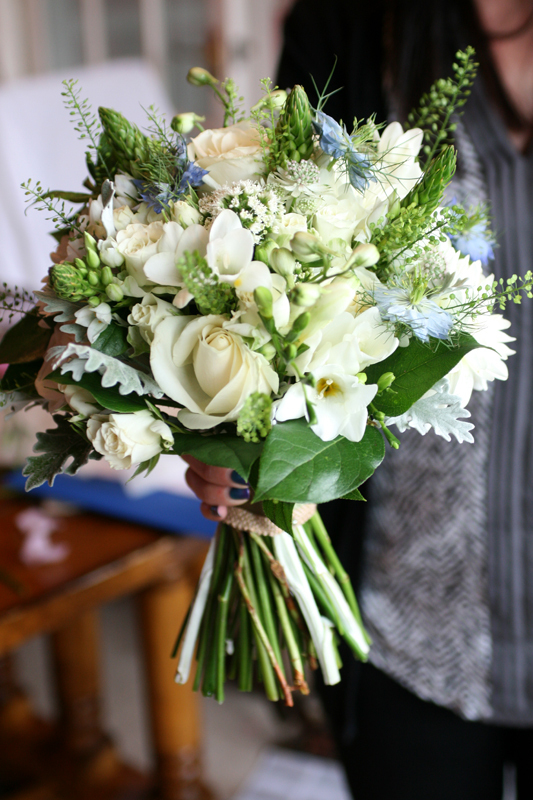 Textured bouquet with hessian fabric wrapped around the handle. 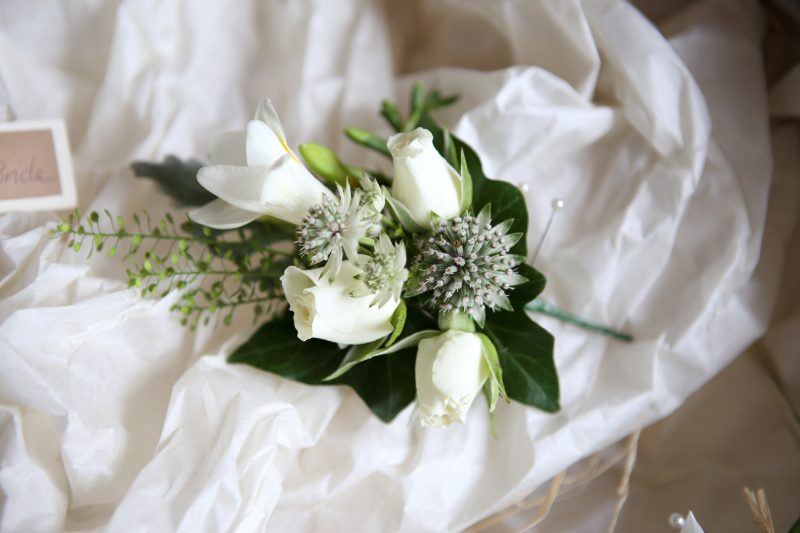 The groom’s buttonhole which includes freesia, ornithogalum, astrantia, nigella and thlespi. Ladies corsage of spray roses, astrantia, freesia and thlespi.